You want to improve the look of your smile, but does the thought of spending years in braces seem out of reach? 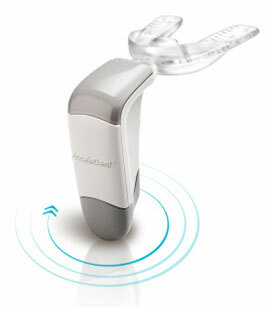 With AcceleDent Aura, you can now speed your tooth movement by up to 50%! Using this fast, safe, and easy-to-use appliance, you'll be finished with your orthodontic treatment and achieve your desired smile faster! Users can carry out routine tasks such as computer work and watching TV. AcceleDent Aura is safe and has been prescribed to thousands of patients worldwide since its introduction in 2009. AcceleDent is only available by prescription from your orthodontist.